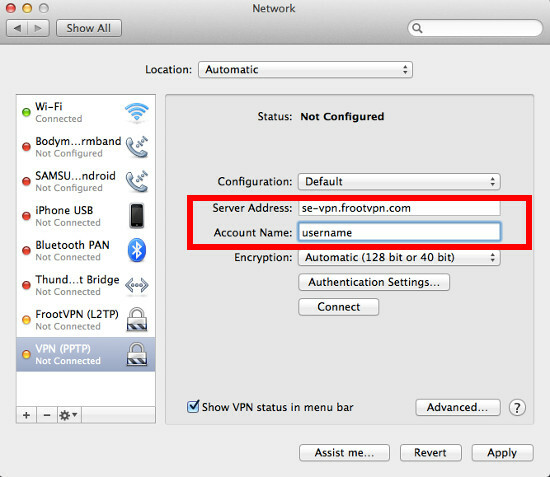 FrootVPN is a completely free virtual private network service which launched in 2014. As of this month (November, 2014), FrootVPN remains completely free, but the site founders have indicated that this is likely to change in the near future. There is very little information available about this site and the company running it at this point in time, and users report widely varying experiences as far as stability is concerned. There is some conjecture that FrootVPN is run by The Pirate Bay or by friends of The Pirate Bay. This rumor seems to be derived from the fact that both operate out of Sweden, and TPB promoted FrootVPN with a prominent ad on their front page. We decided to research this free service to learn as much as we could about it. Read on to learn what we know about FrootVPN. Browse the Internet as if you were living in another country, and unblock content you cannot normally view on your network or in your region. No logging. FrootVPN says that they do not log any information at all on their users, and never share any of your private information with third parties for any reason. FrootVPN does mention streaming on Netflix, Spotify, and YouTube. Whether this is a great use for it or not will probably depend on your connection. There are no bandwidth limitations on FrootVPN (amazingly enough), but the speeds can be very slow according to some users. You can give it a try and see if it works out for you or not. Microsoft Windows: Windows Vista, Windows 7, Windows 8. Because FrootVPN is easy to set up on pretty much any operating system, it should be compatible with just about any desktop, laptop, or mobile device. There are comprehensive guides on the website which teach you how to connect from any operating system. Step-by-step screenshots are included to walk you through the process (this is an excellent feature on the website; it would be great if more VPN services followed this example and made things easy). You can connect through PPTP, OpenVPN, or L2TP. With all three protocols supported, FrootVPN provides plenty of flexibility. Is this reassuring? Not particularly. It is hard to believe that there is not some kind of a catch here. To be fair, The Pirate Bay (who again, advertised for them) has a reputation to uphold, but they have screwed up in the past and promoted programs that came bundled with adware. According to an article on TorrentFreak, The owners of TPB have stated they are personal friends of the guys who run FrootVPN. Whether this is true or not cannot be verified, but it does seem mildly reassuring. It is also reassuring that you do not have to actually download anything to use FrootVPN. Currently there is no premium pricing policy, but if this is indeed a legitimate service, that will likely change in the near future. Even though FrootVPN seems a bit suspicious, it is entirely possible that they are simply trying to build a user base and get their name out there by offering their service for free temporarily. If or when they decide to start charging, we will update this article with the relevant information. The company claims that they already have more than 100,000 users, so it is likely that they will begin charging soon. Currently this is not applicable since there is no pricing policy. Right now is a great time to try this program for free before it becomes a paid service. When the company does begin charging, you will know what kind of quality you can expect before you make a payment. This is another area where it is tough to find solid information. The company has been quoted as saying that they have more than 20 servers and are currently in the process of getting an additional 40 set up. Where the IP addresses are located is unclear. Since there is no program to download, you do not get a lot of control on the user end either. The same TorrentFreak article that states that FrootVPN is run by friends of The Pirate Bay also includes a quote from the company that mentions bandwidth: “The whole idea behind FrootVPN was to provide a free simple VPN service without any bandwidth limitations.” So apparently, you can indeed use FrootVPN without worrying about exceeding a bandwidth cap. Speed is another story, as is stability. Neither at this point is great (more on that in just a moment). There is nothing to download to use FrootVPN. You register for an account, and then follow the user guides to connect through a protocol of your choice on whatever operating system you are using. It is incredibly simple and straightforward. Most users report no difficulties getting connected using the step-by-step guides. If you like the idea of a no-frills approach without any download required, FrootVPN may be your ideal. Stability is one area where FrootVPN seems to be lacking. Users do report regular disconnects and errors. For some people, FrootVPN seems to work flawlessly, while others have a lot of trouble. Since this is a new service and the company is probably still working on perfecting the technical end of things, issues like this are to be expected. FrootVPN is not a particularly fast service either. Most users report a significant slowdown in their speeds. A slowdown is common with most VPN programs, so this should not be a major deterrent unless you need high speed for gaming or other applications. If or when FrootVPN decides to start charging for their service, it will probably get faster. 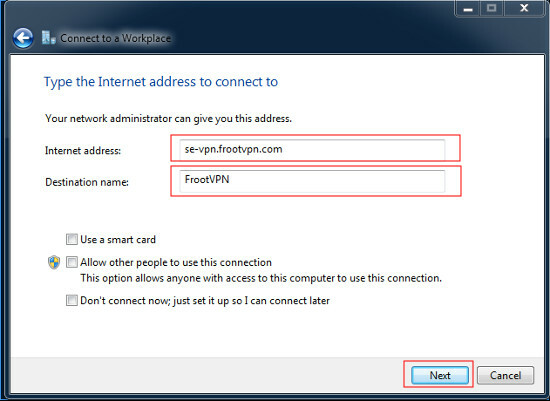 Users are assigned a new dynamic IP address every time they connect to the VPN. There are no time stamps or logs of your activities or the IP address that you used to connect, so you can rest assured that FrootVPN will not be giving your private information away. The type of encryption you get depends on how you connect. If you connect through PPTP, you will get 128 bit key encryption. Connect through L2TP, and you will get 168-bit key encryption. The strongest encryption goes through OpenVPN protocol. Connect through OpenVPN and you will enjoy the protection provided by 256-bit key encryption and a 2048-bit key certificate. You can contact FrootVPN through the web form provided on the “Contact” page, or you can send an email to the address listed at the bottom of the page for support. The few users who have left comments about the customer service have stated that FrootVPN was reasonably responsive. They do also provide a troubleshooting guide in their FAQ with answers to common technical questions. Whenever you see a completely free service like this without a lot of solid information backing up the company’s reputation and good intentions, you should be suspicious. So far none of the users who have tested FrootVPN have reported any problems relating to privacy or malware. Right now, it looks as if this is probably a legitimate service (especially since TPB knows them and recommends them) which is simply trying to get the word out. Use with caution if you need a free VPN solution, but be aware that they will probably start charging before long. They have promised to try and keep their prices as low as possible. After free period expired i’ve payed for 3 month. No account, no money back and no support. Do not pay this guys they will run with you money. Please read their own facebook page and tweeter. Many people complaining that they got nothing for their money. “30-day money-back guarantee” is FAKE. They do NOT make a refund if you are not satisfied! I’ve used their service for two days, experienced ~4-5 hours (out of 48) of downtime. So, uptime was just 90-92%. I asked them for refund (they had agreed) and sent them billing data they asked. Since that, they never answered to my emails nor sent me my money back. More than 10 days passed. Love FrootVpn, yes it can be a bit touchy but just connect to a different server and your away. In my case I have issues with the sweden based server but france just flies. I have 38Mb broadband and a speedtest just now shows 32Mb so I call that excellent speeds. Prices are fair and setting up is so easy. I use Tunnelblick with OpenVPN and its just straight forward, I can just as easily set up a vpn from System Prefs but like OpenVPN for more control. It works well with the Tor bundle and i2P. I have even created a set of custom icons so I can clearly see when its connected as the default tunnelblick icons are a bit vague.